Video and computer games in this day and age are not as simple as they used to be. They have become more interactive and more than that, their visual elements have become much more attractive and stylized. 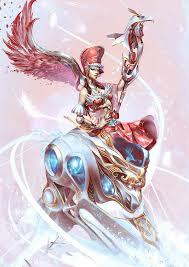 Three-dimensional features and intricate and textured backgrounds as well as highly stylized characters—all of these are a part and parcel of video game art design. The computer and video gaming industry is always in search for new blood and fresh talents to keep themselves abreast with the trends of the times and of course, in tune with the consumers’ demands. That is why as of 2011 alone, over 120,000 were recorded to be employed in the industry. That is how lucrative the gaming industry is. The aesthetics of game art and design in the 21st Century might be highly digitized regarding its production but the design principles are not very different from the classical artist’s point of view. Perspective, form and value are still the guiding principles. Furthermore, every aspect of a game such as the visuals, interactions and design actually have aesthetic qualities and thus, the game art and design team must concern itself with the concepts of dynamic composition. The dynamic composition is all about character shape and animation, environment shape and the pathways. The reality is visually complex and the game art designer must know whether to portray the game as a reflection of reality or to render the game’s world into simpler lines, shapes and volumes. Video game art design is not all fun and games. Yes, it is fun but other than that, an art designer should possess certain things as well such as a portfolio to showcase creativity and skills; good drawing ability as well as a knowledge of anatomy and architecture; flair for color, composition, perspective, light, texture and mood; close attention to detail; and strong powers of observation. In addition to that, an art designer also needs to be imaginative and creative with good communication skills. He/ She must also be versatile in the sense that he/ she can work with a team or work alone for that matter. Game art and design also makes use of specialized computer software so the ability to manipulate these is a must. Artists in the gaming industry usually have degrees in fine arts, graphic design or illustration. Game art designers take charge of the visuals of a game and these includes the scenery, the characters, objects, surface/background textures, props and other interface components. Most times, they are also involved in conceptualizing and making storyboards that show the proposed elements of a game during the pre-production. 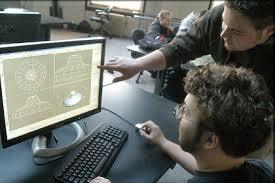 Game art design composes of various fields of specialization. For an instance, there are artists who are engaged in three-dimensional object modelling, while another group is in charge of character design and environment. Individuals or groups have their specialized areas that will contribute to the development of the game. Concept Artist: This is the so-called pen and paper artist. He/ She is in charge of sketching ideas for the game. This also involves color schemes and the feel of the game. The conceptual artists are the shapers of the game. 3D Modeller: The 3D modeller works with the life forms and sceneries of the game. He/ She is expected to balance the visual richness and detail of the aforementioned components as matched to the limitations of the game’s technological background. 2D Texture Artist: This artist creates the texture of characters and backgrounds, especially surfaces of walls and buildings. 2D texture artists are expected to be skilled in lighting, materials and perspective to deliver the game’s desired visual effect.